Last night’s 90-81 Kentucky win over Georgia was the last time you’ll hear Brent Musburger on ESPN. The 77-year-old unexpectedly announced last week that he’s leaving the network where he’s worked for the last 27 years, and his formal farewell came in a relatively understated venue. But it was still a chance for everyone to say goodbye. In this video you’ll see ESPN’s package of Musburger’s greatest calls, both at the network and at CBS, where he called sports from 1973 until 1990, when he joined ESPN. 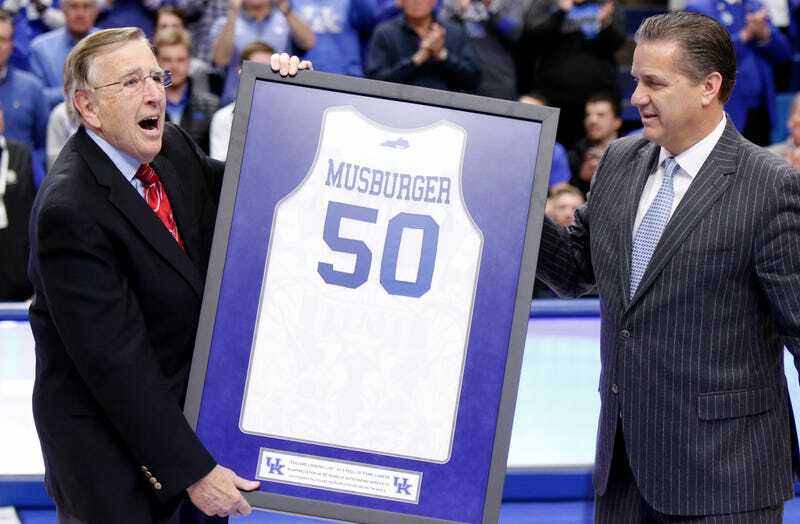 Then, at the end, Musburger thanked his colleagues, his viewers, and signed off for good. Musburger insists no one at ESPN said anything to him about his controversial comments on Oklahoma RB Joe Mixon, but did hint at something else that might have been a sticking point. Starting Sunday, Musburger will co-host a show on a new satellite radio network devoted to sports betting. The two-hour show will air live from Vegas five days a week, so Musburger clearly still wants to work. But as he told SI, he “did not want [ESPN] to be in the middle” of any potential gambling issues.